Home / World / Last minute … from the declaration of the Presidency of Münbiç! 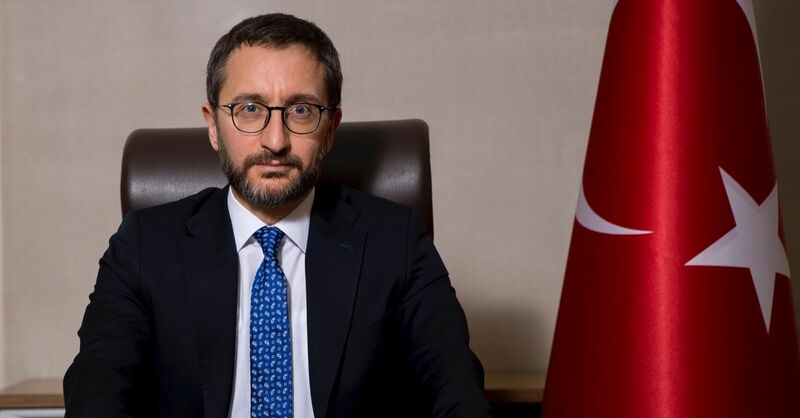 CPresident of the Presidency Communication Dr. Fahrettin Altun wrote an article for the Al Jazeera news site. Syria civil war, in 2015, the Obama administration in the fight against the terrorist organization by Dease YPG decided to use the space as a subcontractor was fundamental disagreement in Turkey-US relations. Obama's path chosen to eliminate the Deas threat in Syria, Turkey has been affected for three reasons. Before YPG is at least 40 Syrian branch of the PKK a terrorist organization that has killed thousands of people in Turkey since 1980. Washington, educating and equipping these organizations pose a direct threat to the NATO ally in Turkey gave the message that the serious security concerns. In addition, the United States has supported a terrorist organization like the YPG and have unintentionally blurred the line between legitimate actors such as the moderate Syrian free army in the region and illegal elements. Finally, the American plan was strategically wrong. Because at no stage in the process, Washington was not sure of the loyalty of the YPG, which was connected to the extreme left, a socialist ideology. For these reasons, the recent withdrawal of US President Donald Trump of the American troops from Syria and has decided to end its cooperation with the countries of YPG terrorist organization, has been accepted by Turkey. On the other hand, we see that the Trump administration has been accused of making a big mistake by some people and refusing US earnings in Syria. Critics of Trump's decision to withdraw from Syria are based on three fundamental misconceptions. The first is the error that the YPG is always the dominant power in northeastern Syria. In essence, the organization forced the control of these regions in the early stages of the Syrian civil war and provided control over a large piece of land thanks to Washington's military aid. Secondly, Turkey, in the region after the withdrawal of American troops "massacred Kurdish will" is a misunderstanding. This statement certainly does not reflect the truth. On the contrary, today many Syrian Kurds in Turkey see it as a safe haven; takes refuge here from organizations that operate in their countries. In fact, Turkey, Syria and Iraq in the Dease terrorist attack carried out by tens of thousands fleeing Kurds, opened its doors to Christian and Yezidi refugees. Today we witness the majority of these refugees who are afraid of returning to their village (if they have not yet been demolished) because they fear the elements of the IPP. Finally, the withdrawal of Trump from Syria and Dease most of the responsibility for dealing with those who criticize plans to transfer to Turkey, Ankara paints as if it were an unfair way to an aggressive attitude. On the contrary, the terrorists in the war-torn plan of Turkey are forced to join the PKK terrorist organization and the Syrian branch has made a clear distinction between the moderate elements of the local population. Our sole objective in Syria is to prevent the DEAŞ terrorist organization from rising, eliminating the root causes of radicalization, to establish physical and social infrastructure to cover the wounds of war and to prevent terrorist attacks against our citizens. In addition to these three fundamental misunderstandings, we see that some of the former US officials, including Brett McGurk, the special representative to fight against DAESH, have criticized the Syrian policy of the Trump administration not to defend US interests but to defend their decisions and practices. McGurk, who resigned from his post to protest against Trump's decision to withdraw from Syria, said only Syrian democratic forces led by the YPG could stabilize the territory previously controlled by ISE in northern Syria . However, recent developments in the region show that the YPG, which received billions of dollars from US citizens' fees, has eliminated the threat from DAESH (a). Last week, four US citizens lost their lives in Münbiç following a suicide attack by DAESH. YPG refuses to withdraw from the region despite the commitments made by US officials, including McGurk. On Monday, US troops in one of the YPG's kilt fortresses, the Haseke region, survived a bombardment. The sudden increase in attacks on US troops means that the YPG did not stop or stop DAESH's activities in northern Syria. The United States, the situation in Syria must take several measures to control: work with Turkey Manbij roadmap should ensure that it passed without further delay to life, the withdrawal of the American forces in the Turkish army should be done in coordination with the Force and Turkey to stabilize the areas affected by terrorism and reconstruction should support their activities.